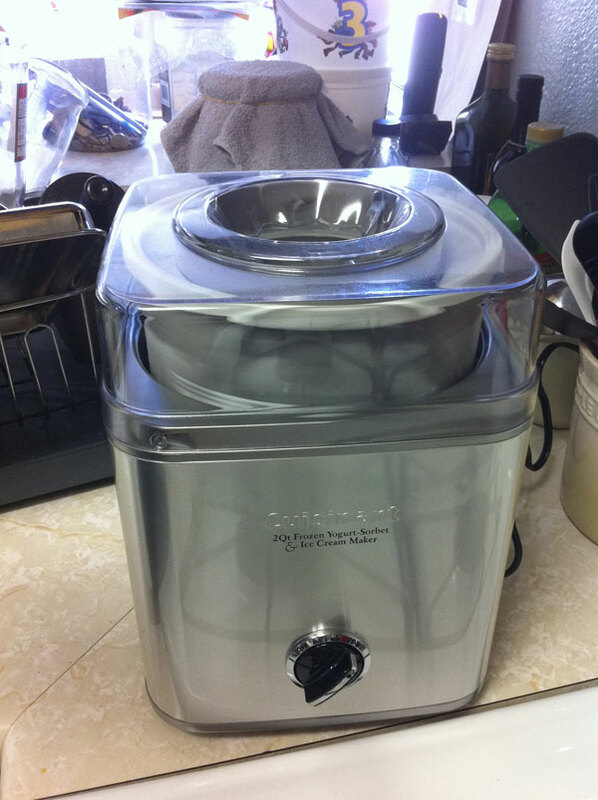 Rene and I recently bought an ice cream maker, and we’ve been so excited about it. Part of the reason we bought the machine was so we can determine exactly what goes into the ice cream we eat, but also so we can make pastured raw ice cream, which isn’t just really good tasting, but also super nutritious for you. Unfortunately, I don’t know of anyone who sells raw ice cream, so this is the only way I know of that allows me to eat raw ice cream. 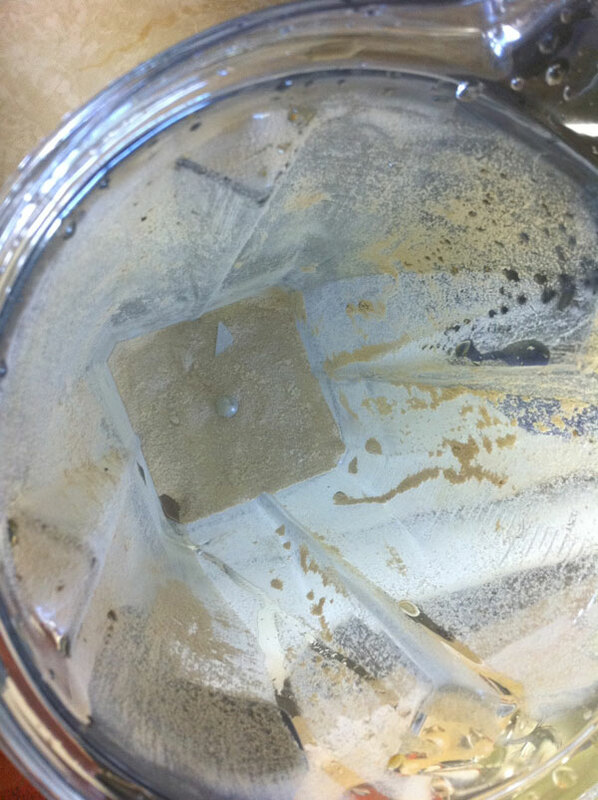 First, I started with some sucanat, a more nutrient dense sweetener. I imagine this is what sugar used to be like before they refined it to the white stuff that’s commonly used these days. Sucanat stands for sugar cane natural, and I’ve been told that if you do decide to eat sugar, this is one of the few options you should choose because it still has a lot of the vitamins and minerals that sugar cane has. 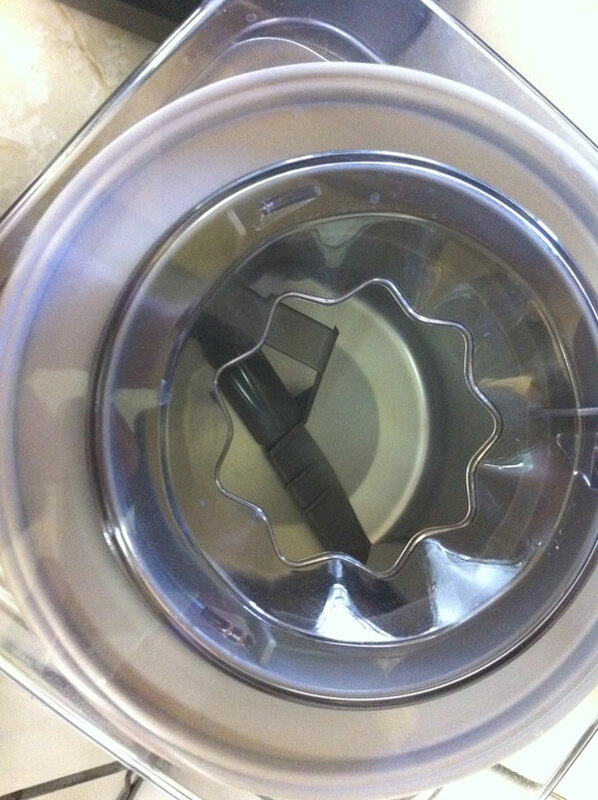 Because the sucanat is a bit large and coarse, I use my handy Vitamix to grind it into a finer consistency. You can’t see here, but when I finished grinding and opened up my Vitamix, a huge cloud of super fine sucanat came out to hug my face. I was a bit startled at first, but it didn’t seem to do much harm. 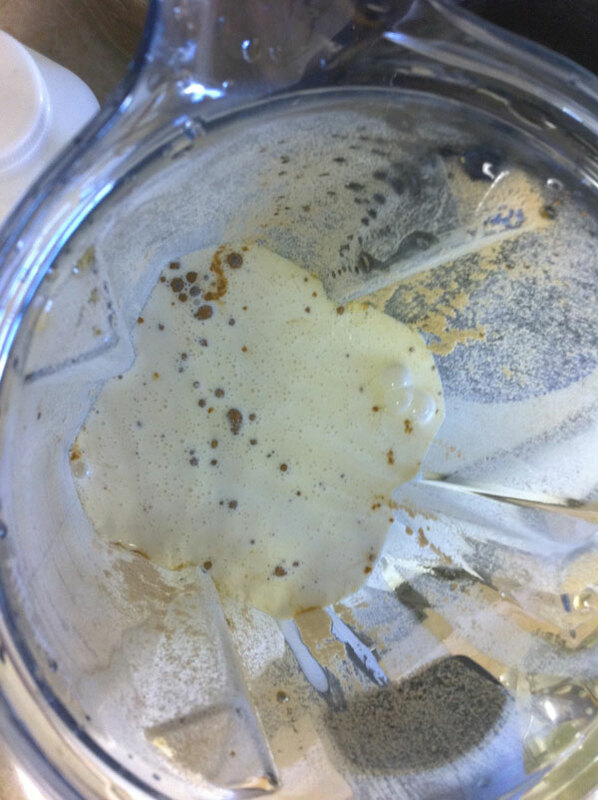 Next time, I’m going to be more careful about sticking my face into my Vitamix after grinding sugar. Next, I added the fresh raw cream I just picked up at my local farmer’s market. 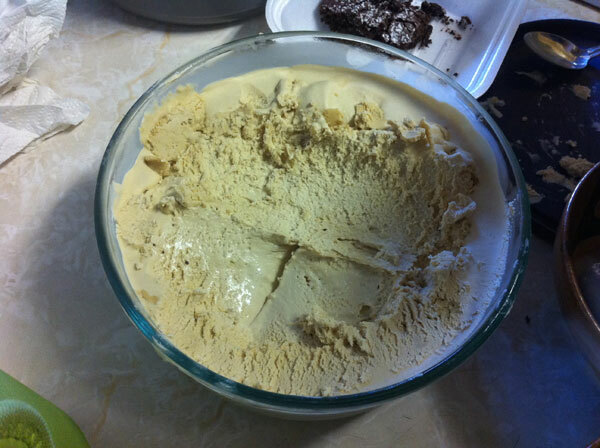 Mmmmm…..
And finally a bit of vanilla extract. Then I blended everything together with the Vitamix. It started to smell pretty good, yum! 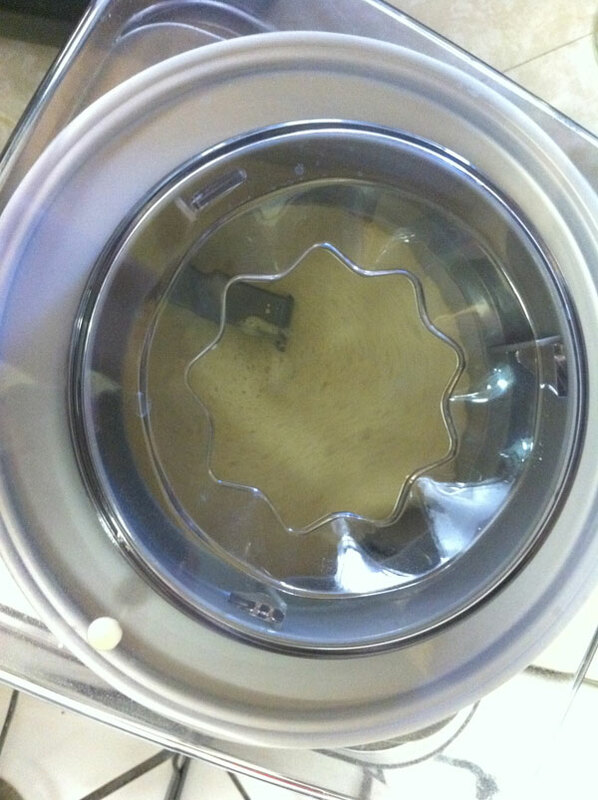 I had previously frozen the bowl component to my ice cream maker so it was all ready to go. 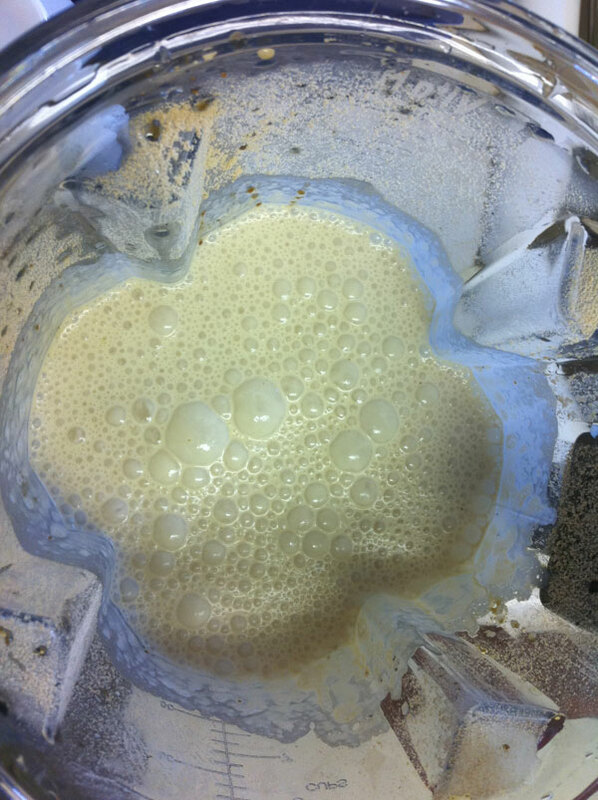 I turned on my machine and poured in the raw cream, sucanat and vanilla extract mixture. Wooo! Look at it go! And after 25 minutes or so, I had fresh made soft serve vanilla ice cream! It was SOOOO DELICIOUS! I dare say it was only second best to the most delicious ice cream I’ve ever had in my life: authentic gelato in Italy! Not too shabby for ice cream here in the states. I was really tempted to eat this ice cream as it was, but I also wanted to know what it would be like fully frozen and not soft serve style, so I put it in the freezer for 2 hours. It was really hard to resist eating the ice cream for 2 hours after having a quick taste of it, but I resisted and here’s the finished ice cream! After Freezing, Ice Cream is all ready to eat! And of course, Rene and I dug right in! I don’t know that I’ll ever go back to store bought ice cream ever again. Not when this stuff is way cheaper, and so much more nutritious for me! I can’t wait to make another batch. I’ll probably try the chocolate version next. I’m also interested to see what happens if I make a raw cream and raw milk mixture rather than a full on raw cream mix like I did this time. Oh, and there are endless possibilities of add ins and all that yummy stuff. I can’t wait! 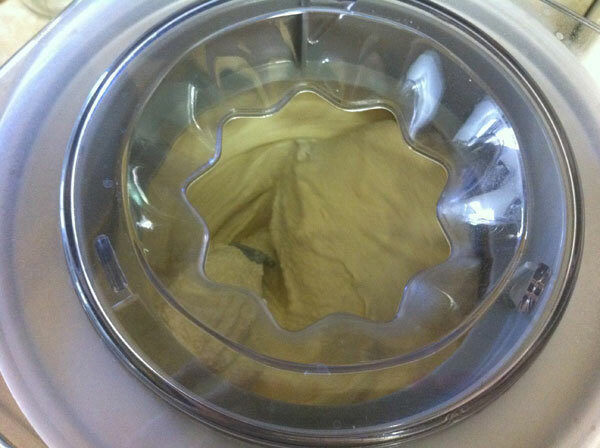 I absolutely love how easy making ice cream is with my new ice cream maker and my trusty Vitamix. For more Vitamix recipes click here. What’s your favorite flavor of ice cream? Mine is vanilla, and boy was this one superb! Does anyone else out there make their own ice cream at home? What’s your best recipe? Oddly enough, vanilla is my favorite flavor too. Growing up, I thought it was the most boring thing *ever*! 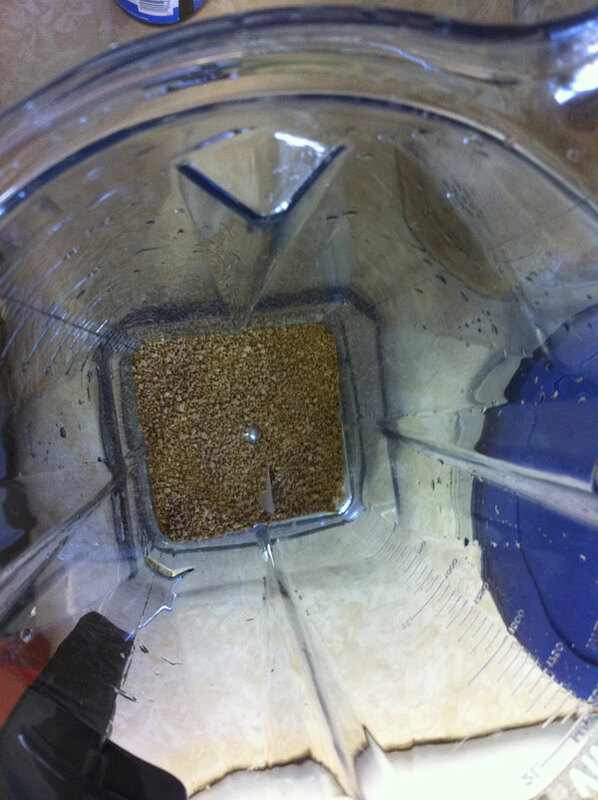 Stumbled across your site while looking for something to do with my soft wheat berries. Love your recipes, especially since I have a VitaMix too! 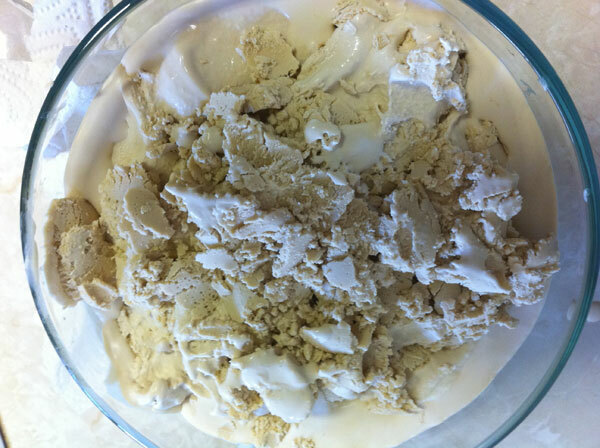 Have you ever made ice cream with your Vitamix? I do all the time for my picky 2-year-old. Just use all your same ingredients, but freeze some of your cream and/or raw milk into cubes before throwing it all together, yum! Actually, my poor little guy’s been subjected to all kinds of freakish “ice creams” to sneak nutrition into him. Typical Vitamix concoction: kale (or any type) greens, cooked beans, oatmeal, flaxmeal, frozen banana, with raw milk as the liquid to get it all going. No sugar required at all since bananas are naturally so sweet. I swear it’s sooo delicious! Wow, you’re really creative with sneaky nutritional ice cream! I haven’t really made successful Vitamix ice cream, but I never tried freezing raw milk and cream into cubes before either. I’m totally trying it next time I want to make just a small batch. I’m glad you were able to find my soft wheat berry posts useful. I have a few more posts about them that I just haven’t had time to get to posting up yet. If you want more recipes and ideas, go check out http://gnowfglins.com. I got a lot of great wheat berry recipes from there. 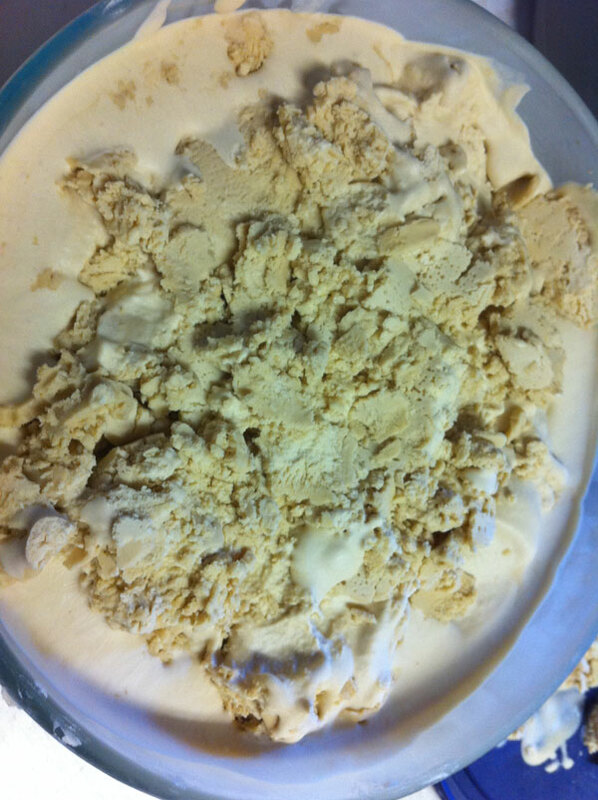 I’ve been making Lucuma Ice Cream -it’s a popular Peruvian flavor. You can get the powder at Erewhon. It would also work well for you since you are not using eggs, it helps make it creamy. But I don’t think you can really go wrong with raw cream! My kids also like strawberry ice cream. 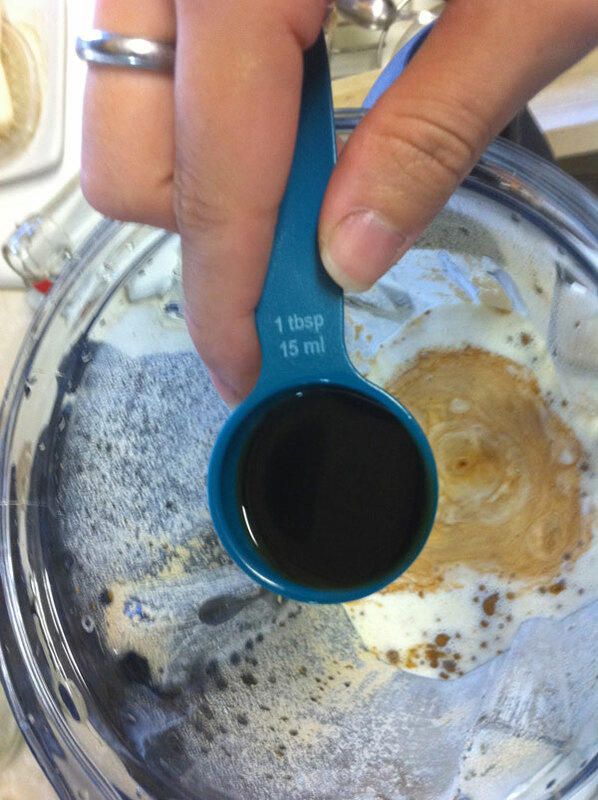 A vitamix makes it so easy to create whatever purees to flavor the ice cream base. 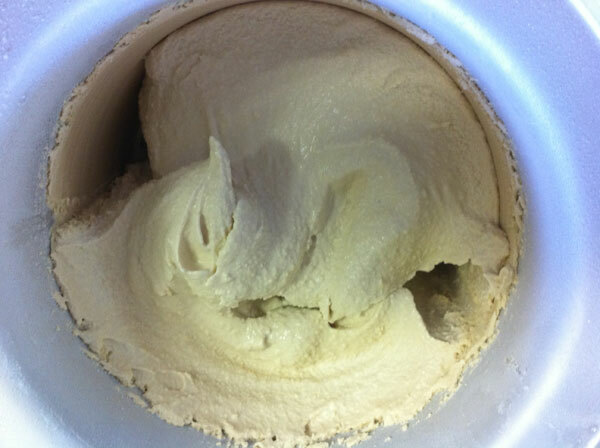 Mmm…Lucuma looks very yummy based on the pics I found online. Definitely gonna try it out! 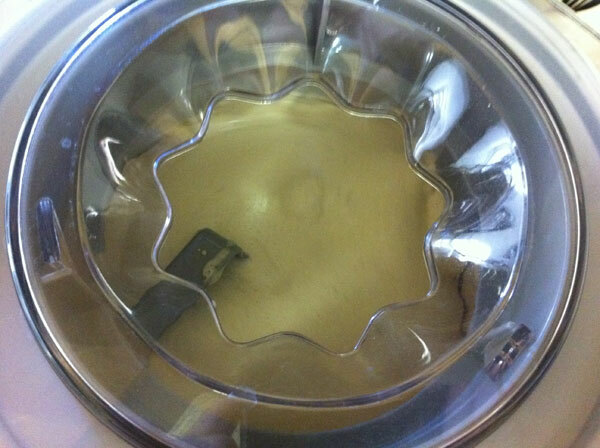 Thanks for sharing I absolutely love using my Vitamix to prep my ice cream bases, too, makes it all way too easy!